Kidney disease (also referred to in medical terminology as renal disease) is a common finding in cats and dogs, especially those who are reaching their senior years. In acute disease, such as a toxicity, the signs occur suddenly and can be very severe. In chronic kidney disease, the onset may be very slow and the signs fairly nonspecific, i.e., the animal is “just not doing well.” Whether the disease is acute or chronic is typically related to the cause. This is not a complete list but demonstrates what the veterinarian is trying to rule in or out as cause of the signs. What tests are done to determine a diagnosis? Various blood tests can be performed to determine if kidney disease is present, how severe it may be, and what may be causing it. In addition, a urinalysis and imaging techniques may also help to determine the cause and severity. BUN is the abbreviation for blood urea nitrogen. The proteins that animals consume in their diet are large molecules. As they are broken down and used by the body, the by-product is a nitrogen-containing urea compound. This is of no use to the body and is excreted by the kidneys. If the kidneys are not working correctly and filtering these waste-products, they build up in the blood. A twelve-hour fast (no food intake) is ideal before taking this test as the level may rise slightly after eating protein. Creatinine is also used to measure the filtration rate of the kidneys. The kidneys are the only organs that excrete this substance, and if it builds up to higher than normal levels, it is a sign of decreased or impaired function of the kidneys. Azotemia is the medical term for an increase in the BUN or creatinine. Uremia is defined as azotemia plus clinical signs of renal failure such as anemia, polyuria-polydipsia, vomiting, or weight loss. Azotemia is divided further into prerenal, renal, or postrenal causes. Prerenal azotemia is due to causes other than actual kidney malfunction that decrease the blood flow to the kidney. These include dehydration, Addison’s disease, or heart disease. Renal azotemia occurs due to damage to the kidney itself, and can include chronic or acute renal disease/failure that results in more than 75% of the kidney not functioning. Postrenal azotemia occurs when there is a build-up of pressure in the urinary system. Causes may include blockage of the urethra due to feline lower urinary tract disease(FLUTD) or bladder stones, which prevent urine from being removed from the body. Normal calcium and phosphorus levels in the blood are maintained by an interaction of three hormones on three body organs. The phosphorus level increases in kidney disease because less is excreted into the urine by the kidney. In cats, the phosphorus level may also increase due to hyperthyroid disease. Multiple tests are performed on a urine sample. Several of them are especially important in determining if kidney disease is present. This test is a measurement of how concentrated the urine is. With kidney disease, the urine is not concentrated normally, and too much water is lost. A normal specific gravity is usually above 1.025, while animals with kidney disease may be in the 1.008 – 1.015 range. A low specific gravity should be retested to make sure it is a repeatable finding. Other diseases can cause a low specific gravity, so this test in itself, is not sufficient to make a diagnosis of kidney disease. In some types of kidney disease, large amounts of protein are lost in the urine. The urine can be centrifuged so the larger particles may be separated out and examined under the microscope. The presence of red blood cells or white blood cells in the urine sediment help point to the cause of the disease condition. Casts (sloughed cells) from the kidneys may pass out in the urine. These indicate a disease process in the kidney itself. A complete blood count(CBC) is useful to check for anemia and indications of infection. Anemia in renal failure is common and results from a decrease in the production of a erythropoietin by the diseased kidney. Erythropoieti is a hormone that tells the body to produce more red cells. The red blood cells also have a shorter life span in uremic patients. Are taken to determine the size and shape of the kidneys. Small kidneys are more common in chronic kidney disease while large kidneys may indicate an acute problem or cancer. Excretory urography such as an intravenous pyelography (IVP) is a specialized type of x-ray. A dye (positive contrast media) is injected into the pet’s vein and monitored via x-rays as it is filtered out by the kidneys. This is used for anatomic evaluation of the urinary tract and to determine the size, shape, and location of the kidneys. It gives a crude assessment of renal function also. Ultrasonography looks for changes in the density of the kidney. A biopsytaken during ultrasonography may help determine the cause of kidney disease in some cases. In cases of acute kidney disease, the animal usually has severe signs that occurred suddenly. These may include depression, vomiting, fever, loss of appetite, and changes in the amount of urination. A good medical history and testing will need to be performed to find the cause. The cause may be treatable such as infection caused by leptospirosis; an infestation with a parasite such as the giant kidney worm; or exposure to toxins such as the Easter lily or antifreeze. Blood and urine samples are ideally taken before the start of treatment so the treatment does not affect the test results. Initial treatment of kidney disease, involves rehydrating the patient typically over about 2-10 hours and maintaining normal hydration after that. This is typically done with intravenous (IV) fluids in the veterinary clinic so the appropriate amounts can be given and the pet can be monitored for appropriate fluid output (urination). Many times, the IV fluid administration is enough to start or increase urine output. If urine output is still not normal, medication such as furosemideor mannitol may be necessary to try to get the kidneys to produce urine. Electrolytes such as sodium, potassium, and other electrolytes are monitored and maintained in the normal range through the administration of the IV fluids and, sometimes, medications. As the pet becomes rehydrated with the fluids, he typically starts feeling less nauseous and becomes more willing to eat. If the pet eats willingly or if tube feeding is performed, a high quality lower quantity protein should be fed. This limits the demands on the kidneys while providing the body with needed nutrition. In severe cases, parenteral nutrition may be given via an IV line. If the animal is vomiting because of the renal disease, treatment may include giving frequent small meals and medications such as cimetidine or chlorpromazine. The nausea may come and go through the day so small meals offered throughout the day may increase the overall food intake. At the same time fluid therapy is started, treatment for the underlying cause is usually begun such as antibiotics for a bacterial infection or induction of vomiting for certain toxins. Kidney dialysis can be done at some veterinary clinics, especially referral clinics or veterinary schools. Pets that may benefit from dialysis include those that fail to respond to normal therapies, those that have a nephrotoxic (toxic to the kidney) poison in them, those that are not producing urine, or those that require emergency surgery such as for repair of the urinary tract due to trauma. Kidney transplants for dogsand cats are an option available at a few veterinary hospitals at this time. With early and aggressive treatment, acute renal failure may be reversible. Chronic renal failure is characterized by irreversible lesions within the kidney. In most cases, improvement of the renal function should not be expected once the body has compensated as much as possible. If the renal failure is prerenal (caused by a disease other than actual kidney malfunction that decreases the blood flow to the kidney) or postrenal (caused by a build-up of pressure in the urinary system from an obstruction, for example) components, it may be partially reversible with treatment. Renal function in chronic cases tends to be relatively stable for weeks to months baring unforeseen changes. Function does progressively deteriorate over weeks to months to years. The clinical and biochemical consequences of reduced renal function can be minimized by symptomatic and supportive therapy. Many times, the earliest signs of CRF are missed by owners. These include a mild to moderate increase in thirst and urination (polydipsia and polyuria) and a need to urinate during the night (nocturia). Other common early clinical findings include variable weight loss, poor hair coat, lethargy, and selective appetite. As the condition progresses, more signs appear. If the cause of the CRF can be identified, it should be treated if possible. Many times, the condition is found in older pets and is due to age. The fluid need is greater in the CRF patient because the patient is unable to concentrate the urine so more water is passed out of the body in the form of urine. In earlier stages, patients may be able to maintain fluid balance by continuing to eat and increasing the amount of water consumed. The fluid level needs to be maintained to preventdehydration. As the disease progresses, additional fluid in the form of subcutaneous (SQ) fluid may be necessary. Owners can typically give these fluids at home after being shown how at the veterinary clinic. The addition of potassium to the fluids or to the diet may be necessary to maintain proper levels of this electrolyte in the body. Low potassium levels cause generalized muscle weakness and heart rhythm disturbances. In some cases, intravenous (IV) fluids may also need to be given. The pet should always have free access to fresh, clean water. Withholding water at night will not decrease the pet’s need to urinate overnight and may cause an acute crisis. The amount of water and food consumed each day should be monitored so the owner knows whether the pet is eating and drinking normal amounts. If not, additional fluids (IV or SQ) will be necessary to maintain hydration. The body weight should be checked every week to make sure enough calories are being consumed to maintain weight and that dehydration is not a problem. The veterinarian may recommend a diet change to a lower, but high quality, protein diet, which may decrease the stress on the diseased kidneys. Often, canned food is recommended. The change may need to be done slowly to keep the pet eating. The protein restriction cannot be excessive or the pet may develop protein malnutrition due to loss of protein via the kidney or the gastrointestinal tract that is not found in healthy pets. The diet should be monitored by checking the pet’s weight, checking for anemia, and checking for hypoalbuminemia. If these are present, an increase in protein content may be necessary. Always follow the dietary instructions given to you by your veterinarian. Pets should be encouraged to eat an amount of food to maintain weight and provide the appropriate nutrition. To increase the appetite, it may help to feed several small meals a day; enhance the palatability of the diet with additives such as cottage cheese, yogurt, or chopped up vegetables; or to add a medication that stimulates appetite. Warming the food may also increase the palatability. Do not feed hot food as burns may result. The appetite may come and go during the day, so try feeding at various times during the day. Food-induced nausea may happen at certain times of the day and not at other times. Medication to control nausea may increase the appetite also. Electrolyte levels need to be maintained in the normal range. The phosphorus intake may need to be decreased to help serum levels remain normal. Phosphate binders may be used when diet changes and fluid therapy do not keep the phosphorus level in the normal range. Calcium supplementation may be necessary as well as vitamin D therapy. Salt intake needs to be adequate to help maintain hydration and to give the food flavour but not too high that it worsens hypertension (high blood pressure). Decrease the salt content of the food over several weeks to allow the kidneys to compensate for the change. Potassium levels should be monitored and a supplement given if necessary. Water soluble vitamins (B and C) should be supplemented, especially during times of poor eating. Supplementation of vitamin A and D beyond the minimum daily requirement is not recommended due to a build-up of vitamin A and the changes in the metabolism of vitamin D in renal patients. Omega-3 fatty acid supplementation may be of benefit to some animals with chronic renal failure. Any medications to treat other conditions such as bladder infections or heart disease need to be given carefully and the pet monitored for side effects. The dosage may need to be decreased as the kidneys may be the main organ to eliminate the medication from the body. The pet should be monitored for anemia and treatment initiated if necessary. Erythropoietinmay be given as injections to help the body produce more red blood cells. Treatment of uraemia will help lengthen the life span of the red blood cells. In more severe cases, blood transfusions can be given. Blood pressure should be monitored to help prevent further damage to the kidneys, which could cause an increase in progression of the disease as well as damage to the retinas, which can result in blindness. Medication may be necessary to maintain normal blood pressure. If the animal is vomiting because of the renal disease, treatment may include giving medications such as cimetidineor chlorpromazine. The nausea may come and go through the day so small meals offered throughout the day may increase the overall food intake. 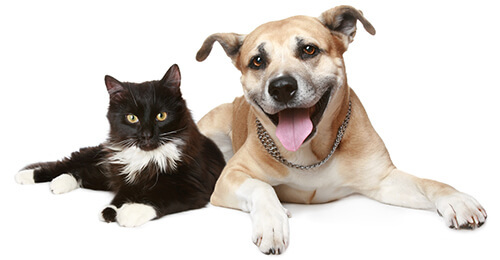 Kidney transplants are available for dogs and cats at several veterinary hospitals. With treatment, pets with CRF may live months to years. It will all depend on how the body responds to the treatment and other health concerns that arise.